A different way to have some winter fun. 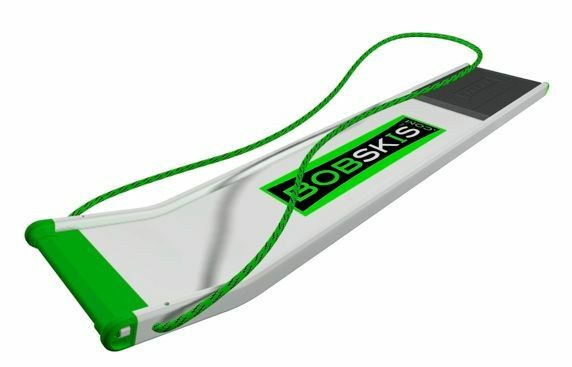 Bobskis, designed and produced in the UK, are a durable, high performance sledge (AKA a sled in America) that is super fast. It’s easy to steer – just touch the snow on the side that you want to turn (protect your hands with gloves!) and shift your weight slightly. Use it standing, kneeling, sitting on your bum, laying on your stomach, or leaning back, feet first (probably the fastest). Another great thing is that you don’t need a lot of snow to have some fun – check out the videos on their website to see people zooming down a slope with just a sprinkling of snow! Amazing! Editor’s Top Finds of 2013: Celebrating the Cold Weather!